The Community Council are in the process of compiling a Village Design Statement (VDS), along with both the Aghabullogue & Rylane villages. A VDS is a document that describes the distinctive characteristics of the locality, and provides design guidance to influence future development and improve the physical qualities of the area. This project is being funded by WCDP (West Cork Development Partnership). The purpose of this project is to design a plan to enhance and improve our locality in the years ahead. URS, the company given responsibility for designing this project are scheduled to visit the three villages this weekend and shall be participating in a ‘walk about’ of the village areas. URS are seeking ideas and suggestions for inclusion in the design from all businesses in the core village area. Any suggestions you might have for any facilities or projects you feel would be of benefit to the locality to be included in this project would be very welcome. It is envisaged that the greater community population shall have the opportunity to put forward all suggestions and ideas for inclusion when local workshops are held in the area in early November. Business’s, Community groups and local organisations are all invited to participate in the village “walk about” with URS this weekend, and the Community Council would be very grateful for your participation in this project. For further information on the walkabouts and/or the VDS for Aghabullogue, Coachford and Rylane please contact Peter on 086 80 30 086 or Martina on 087 27 10 831. The results of the ACR Tidy Townlands 2012 Competition are now in. Mindless vandals caused damage to the Millennium Park in Coachford last weekend when they upturned flower pots and planters and ripped road safety signs from poles on Saturday night/Sunday morning. The Coachford Tidy Towns had spent a lot of time and money in upgrading the park and this destruction came as a blow to the committee. They have repaired the damaged and have vowed to continue to upgrade the park and to try and improve the look of the village. 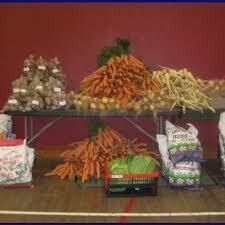 Coachford Local Market takes place this Saturday from 10.30am to 1.00pm. You’ll find Fresh local Produce, Arts and Crafts, Gorgeous Cakes, Unusual chesses, Excellent Coffee and a place to meet friends and neighbours. Coachford Soccer club had a double win in the AOH cup last weekend with both adult teams progressing to the 3rd round of the competition. The A team beat old rivals, Knockavilla Celtic by 4 goals to 1 while Coachford’s second team defeated Springfield’s first team by 4 goals to 2. The A team compete in another cup competition this weekend when they entertain Pearse Celtic in Coachford on Saturday at 3pm in the 2nd round of the FAI Junior Cup. The Under 12 schoolboys team enjoyed a very comprehensive win over Bandon last weekend putting 7 goals past the town side. The Killanardrish/Coachford goals came from Jack Murphy (2), Jack Oldham (2), Adam Murphy, Luke Casey and Mark Murphy. The Under 13 boys play Buttevant on this Saturday in Coachford in the league. Congratulations to Shirley Moody who won the €1,700 jackpot when her numbers came out in the Coachford AFC Lotto this week. The winning numbers were 7, 9, and 21. The lucky dip winners were Lisa Murphy, Aaron Doherty, Declan O’ Connell , Tony Enneguess and Pat Murphy, Next week’s jackpot is €1000 and the draw takes place in O’ Riordans. Get your ticket early from any of the shops or Pubs in the village if you’d like to be in with a chance to do some early Christmas shopping. Tickets are only €2 each. The Coachford branch of GIY will meet next Wednesday at 8.00pm in Hogan’s Bar Coachford. First time and experienced gardeners are all very welcome. Come along and get growing tips, share advice and talk to people who like you are interested ion growing your own food. The ever popular Coachford Flower and Garden Club will meet on next Thursday, October 18th in the Village Inn Coachford at 8.00pm. The theme for the night is ‘Autumn’ and the group’s special guest will be Willie Granger. Everyone is welcome. There will be plants for sale on the night. Congratulations to Marie Healy, Aghavrin Coachford on being presented with a Gold Medal ( to add to her Bronze and Silver medals) in the Gaisce Awards by president Michael D Higgins at Dublin Castle. Gaisce – the President’s Award – is Ireland’s national challenge award and recognizes achievements by young people who have improved their personal skills, worked in the community, and taken part in a travel adventure. Well done Marie. Broomhill Vintage Club are organizing an end of year, Tractor, Car and Motorcycle Run (Classic, Veteran & Vintage) on Sunday November 18th 2012. Participants should register at the GAA grounds Coachford from 11.00am. Entry for this event is only €10 One of the organizers of the event, Tim Flanagan said “ this run is being organised to give your vehicle one more run out before you garage the machine for the winter: The run will be an easy one for all vehicles and we are hoping for a good turn out. Entry is only €10 and tea and coffee will be available on registration”. Insurance for all vehicles must be produced and for further information contact Tim at 086 866 3729 or Peter on 086 844 7105. Broomhill Vintage club recently donated over €5,000 to local charities from the proceeds of the Coachford Autumn Festival. This entry was posted in Useful Numbers and tagged Coachford, Coachford AFC, Farmers Market. Bookmark the permalink.